Thes Decoy was extended and regularised in succeeding years, taking the character of an ornamental 'wilderness' and water-garden rather than a working decoy. Here William III built the first Duck Island Cottage - a 'tea house' in a 'grove beyond and between the miniature canals'. (6) By 1734 Duck Island was described as 'one of the most enchanting summer retreats imaginable ... a paradise in miniature', although 'as the waters in and about it are suffered to stagnate and putrify, they become almost as much a nuisance as an ornament'. (7) Throughout the eighteenth century it remained a secluded and romantic spot; the canals gradually silted up and its shrubberies became overgrown, rendering it ideal for wildfowl. To reign o'er my Duck Island. 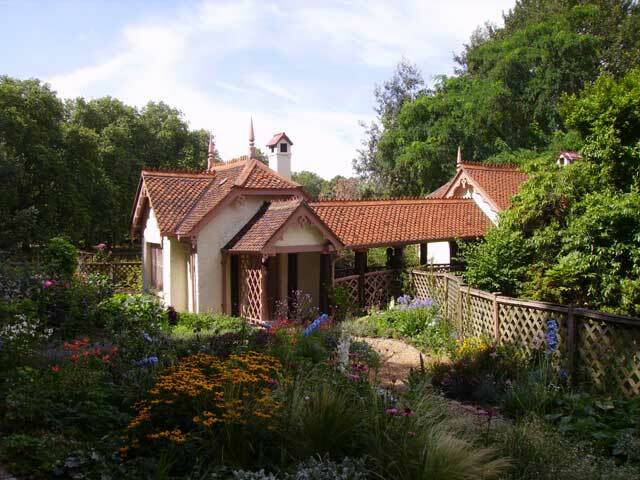 The architect John Burges Watson had been engaged by the Society to design the Bird Keeper's Cottage. 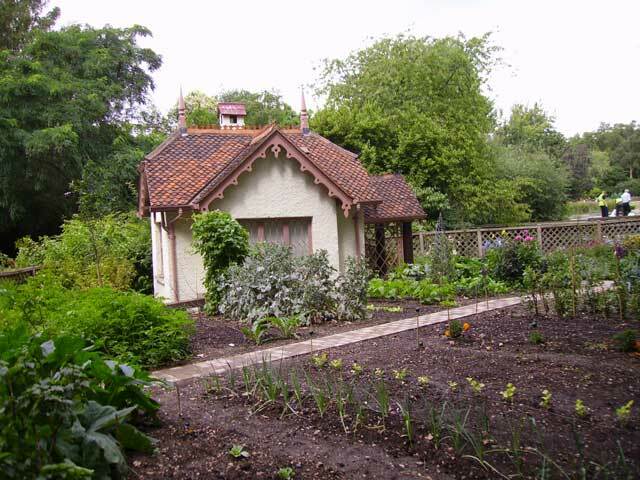 Watson (1803-1881), an obscure architect whose 'taste was for rural subjects', produced a small, irregular composition, comprising a cottage and clubroom for the Society, trimmed with ornamental barge-boards finials and ridge-tiles. (22) The cottage was proposed to occupy Duck Island while the clubroom was to stand on a small promontory on the nearby bank, the two buildings were to be connected by a loggia-like bridge of tree-trunk columns and trellis, beneath which water flowed. This gingerbread Cottage Orné, of vaguely Swiss inspiration, was calculated to contrast with the increasingly monumental architecture of the Government Offices being erected in nearby Whitehall. Eventually, in July 1955, Marshall Sisson was asked to submit two alternative designs for the cottage - a compact two-storied house and a semi-bungalow. (52) Both were symmetrical compositions with green-painted tree-trunk loggias and roofed with Norfolk thatch. Mr Bedford - doubtless still smarting from the rejection of his own designs - protested that the thatched roof would soon be covered in bird droppings and that gulls 'would store bits of fish etc. in and beneath the straw'. (53) However at this juncture the Royal Fine Art Commission intervened and urged the preservation of Duck Island Cottage. (Note 54) In a surprising volte face the retention of the building was ordered for use as store. (55) Sisson, understandably annoyed, promptly exhibited one of the sketches in the Royal Academy Summer Exhibition in that year as An Abandoned Project for the Bird Keeper's House in St James's Park - to the intense embarrassment of all concerned. 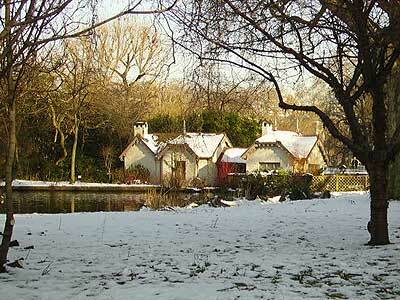 (Note 56) Nevertheless, Duck Island Cottage had been saved. 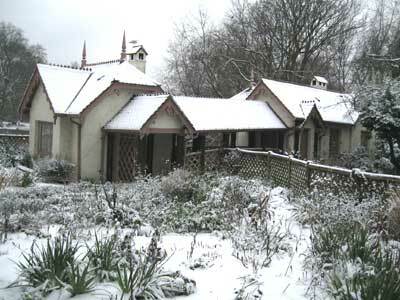 It is most appropriate that Duck Island Cottage has been bestowed upon the London Historic Parks and Gardens Trust - a society concerned with the protection and enhancement of St James's Park. However, the philanthropic and didactic objectives of the Trust extend beyond the boundaries of the Mall and Birdcage Walk. They encompass parks and gardens throughout London - all historic pleasure grounds which, like St James's Park, continue to provide enjoyment and benefit for the residents and visitors to the Metropolis. The author would like to thank Todd Longstaffe-Gowan, Jennifer Adams of the Royal Parks Agency and Chris Sumner of English Heritage for their help while researching this article. Reproduced from The London Gardener Vol.I by kind permission of the editor. Duck decoys were introduced from Holland. The C18th Boarstall Decoy in Buckinghamshire, owned by the National Trust, is an interesting surviving example. PRO (Public Record Office) WORK 16/760. The Society also proposed to 'distribute duplicates gratuitously, among such Members as may be desirous of acquiring a collection of aquatic birds'. Including the Duke of Buccleuch, the Earls of Liverpool and Orkney, Sir Robert Peel, the Bishop of Norwich and the naturalist William Yarrell. WORK 16/760. The prospectus includes a list of birds in the Collection. These include common, Polish and black swans, bitterns, purple and night herons, storks, spoon-bills, 10 varieties of goose, 19 species of duck, mergansers, grebes, cormorants, gulls and gannets. There is also appended a list of desiderata. Admission to the Society was a guinea with an additional guinea yearly. PRO, CRES 8/22, 19 June 1840 pp. 491-492. CRES 8/22, 24 July 1840, pp. 491-492. The Society paid the keeper 'a gratuity beyond the ordinary rate of labourer's wages'. WORK 16/760, 7 December, 1840. It was a common practice for architects to publish prints of their own buildings - these were often dedicated to the clients and would have served as a prospectus for the undertaking as well as a discreet advertisement for the architect's own work. Examples of this lithograph exist in the collections of the British Architectural Library and the Greater London Record Office. The Gardener's Chronicle , 3 April 1841, p. 211. Walford, in Old and New London , iv, pp.51-52, noted that the cottage contained 'a council room, keeper's apartments and steam-hatching apparatus' and observed that the 'pieces of bread and biscuit which are given daily to the ducks, geese and swans would well-nigh feed the inmates of a workhouse'. WORK 16/1758, 1884. Browne suggested that the plants required 'might be thinned out of existing shrubberies'. WORK 16/2035. By 'HM Office ofWorks', plans, elevations and section dated July 1929, executed in 1930. WORK 16/1758, 1956. Enemy action on the 10-11 May 1940 damaged the structure and destroyed the chimneystack of the kitchen extension. The extenssion comprised a new kitchen, two bedrooms and a bathroom. The interior of the cottage was extensively remodelled.